Find investing review of WisdomTree Europe Hedged Equity Fund (HEDJ). This ETF fund invests in stocks of European companies. WisdomTree is the leader of ETF provider which provides alternative ETFs such as small cap dividend ETF, emerging markets dividend ETF, etc. 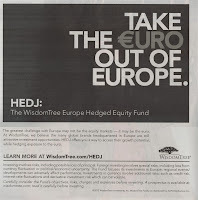 From recent ad, WisdomTree introduced WisdomTree Europe Hedged Equity Fund. This ETF invests in stocks of European companies with significant revenue from exports and uses hedge to enhance its return. Is investing in this exchange traded fund good for long term? Can you invest in your brokerage or retirement or 401(k) plan? Find this ETF fund review below. I have provided the details such as expense ratio, yield, etc. The greatest challenge with Europe may not be the equity markets – it may be the euro. At WisdomTree, we believe the many global brands headquartered in Europe are still attractive investment opportunities. 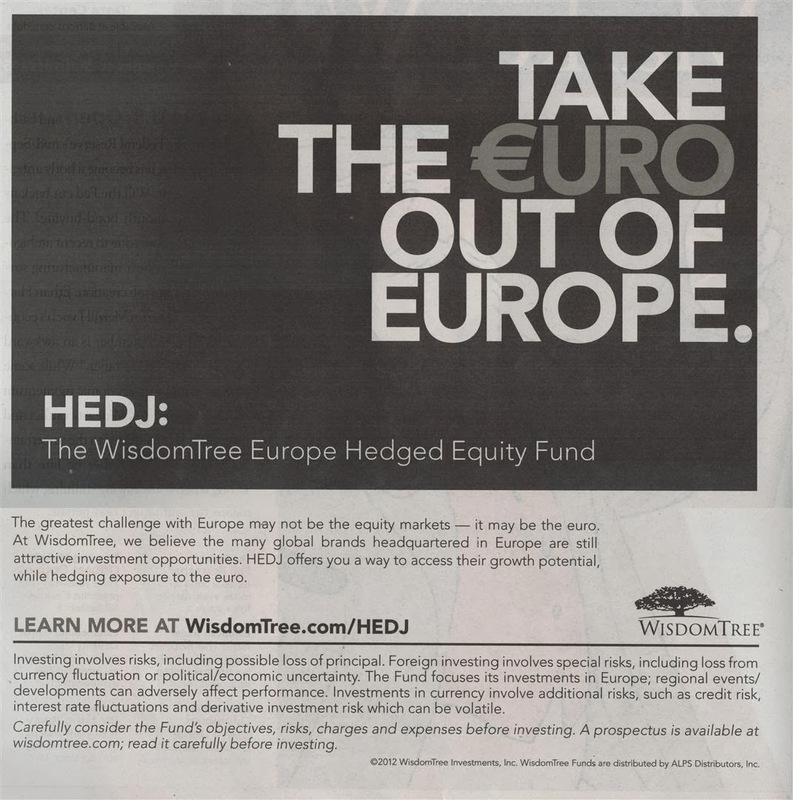 HEDJ offers you a way to access their growth potential, while hedging exposure to the euro. Investing involves risks, including possible loss of principal. Foreign investing involves special risks, including loss from currency fluctuation or political/ economic uncertainty. The Fund focuses its investments in Europe; regional events/ developments can adversely affect performance. Investments in currency involve additional risks, such as credit risk, interest rate fluctuations and derivative investment risk which can be volatile. WisdomTree Europe Hedged Equity Fund (HEDJ) is seeking to track WisdomTree Europe Hedged Equity Index. Morningstar analysts rank this equity fund with 4-stars rating. It has total net assets of $464.87 million. This ETF fund is currently traded at premium 0.25% from its NAV. The annual expense ratio is 0.58%. Investors receive 1.74% of 12-month dividend yield. The CUSIP is 97717X701. The top 5 stocks in its holdings as of third quarter of 2013 are Banco Bilbao Vizcaya Argentari (7.55%), Anheuser-Busch InBev NV (5.85%), Banco Santander SA (4.82%), Daimler AG (4.65%) and Siemes AG (4.25%). Industrial (20.32%) is the top fund sector weight. The top fund country breakdown is Germany (24.90%) and France (24.55%).